Maxwell Tools has taken the lead in production and supply of high quality tool bits. The accessories are highly sort in the market because they are made of superior quality HSS steel and are therefore extremely efficient. They are available in standard and customized configuration. Their performance in a variety of environments is also commendable. 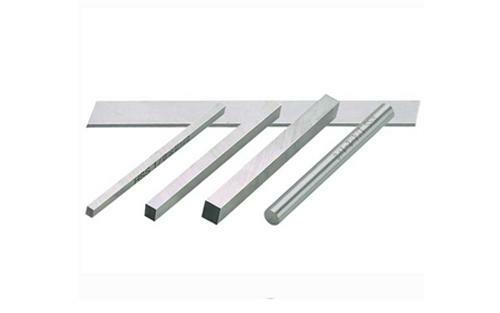 All the above varieties are made of high speed steel which is handy and produces excellent results in different cutting or drilling environments. The tips are coated on demand using different technologies including TiAIN, TiCN and TiN. These technologies elongate the life of the tools several folds. The application will determine the best coating technology. Maxwell gives every client a service guarantee that includes superior quality products, timely delivery and adherence to specific demands. This commitment to excellent customer service and satisfaction has been maintained for the decades Maxwell has been in existence. The client is involved in the entire process from design to profiling and production. This ensures that your specifications can be clearly seen in the final product. Every sale encounter is an opportunity to create a lasting business relationship. Regrinding of tools that have lost their clout. This is done to restore the original properties or modify the remaining piece to make it useful. There are technicians with necessary skills and machines to re-shape and re-sharpen cutters and millers that are out of form. The process of restoration eliminates the need to replace the entire unit which would be more expensive. Other restoration services include recoating and straightening bent cutters. Technical support is given during supply of tools and long after they have arrived at your factory. The technicians understand requirements in different work environments and will advise you accordingly. They are exposed to multiple work scenarios and can handle emergencies with ease. They will advise you on how to improve efficiency when working with different tools as well as ways to make them durable. Maxwell has improved customer service experience by displaying available tools online. They are ready for shipping and will be delivered within the shortest time. Online orders are convenient since the portal allows you to specify your dimensions when making an order. The items you see on the web are the exact ones that will be shipped. Payments are conveniently made using major credit cards or online transfer. There is a team of engineers and designers ready to develop the desired profiles of any tool. They have the necessary software to profile and simulate before sending to automated machines for mass production. This guarantees consistency when dealing with a large number of tools. Maxwell has invested in the most advanced production units. They can deliver on large orders within a very short time. A consistent, professional and thorough inspection throughout the production process ensures that there are no discrepancies on any two pieces especially during mass production. They will produce incredible results when used in your production processes.